Before BP came along I used to refer to our campaign system as a train wreck. The analogy to the oil spill is imperfect but more current and more dramatic as well. What BP is doing to the Gulf of Mexico and the planet our flawed campaign system is doing to our democracy. And like the BP disaster, the fixes for the campaign system are not available or not working very well. The reading I get from the reform pros and that small segment of our population that attends presentations by the reform pros is that there are seven things that are screwing up campaigning in this country. Campaigns are too long. Actually they are more like endless. What we seem to want is the British system. Unfortunately the British system only works when no one knows when the next election will be. Campaigns are too costly. Millions of dollars are poured into short, often superficial appeals for votes through whatever are the media of the moment. This is probably per se bad. Worse yet it adds a new criterion for candidacy. “How much money have you got?” is the first question asked by the mercenaries who run campaigns and the reporters who cover them. Attempts to limit campaign spending are routinely overturned by the free-market minded Supreme Court. Campaigns are rigged. 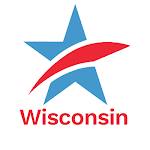 Because the need for campaign money is so great even in a state like Wisconsin, the legislative leaders have gerrymandered the legislative districts to reduce the number of places where races are competitive and expensive. The result is that candidates pick their voters rather than vice versa in an overwhelming number of legislative races. Campaigns are too easily hijacked. In the few districts where there are competitive races and where those races determine which party will have a legislative majority, the flow of money from rich outsiders will usually overwhelm the campaign treasuries of the candidates themselves. Too often the campaign for a legislative seat turns out to be a battle between the business organization and the teachers’ union at which the candidates’ spending and agendas are only a sideshow. Campaigns are too negative. The reigning wisdom is that a soporific public can only be motivated to get out and vote if they are given reasons to vote against instead of for candidates. The money backs up the reigning wisdom. The voters too often confirm it. Campaigns offer too few ideas. Outside money from interest groups mostly goes to keep the status quo intact. Attack campaigns are about personality shortcomings and dirt. Ideas get pushed aside or belittled at best, attacked at worst. Campaigns are weighted toward bland generalities which sound good and are attack proof. Specific ideas are too dangerous. Campaigns are unfair. Candidates must make regular filings which tell the public who, specifically, is supporting their campaigns with contributions. The outside interest groups that are active in campaigns are not required to make these kinds of disclosures. And in the end... The prospects of BP cleaning up the Gulf don’t look very good at this writing. The prospects of cleaning up the election system look worse. Another kind of spillTweet this!